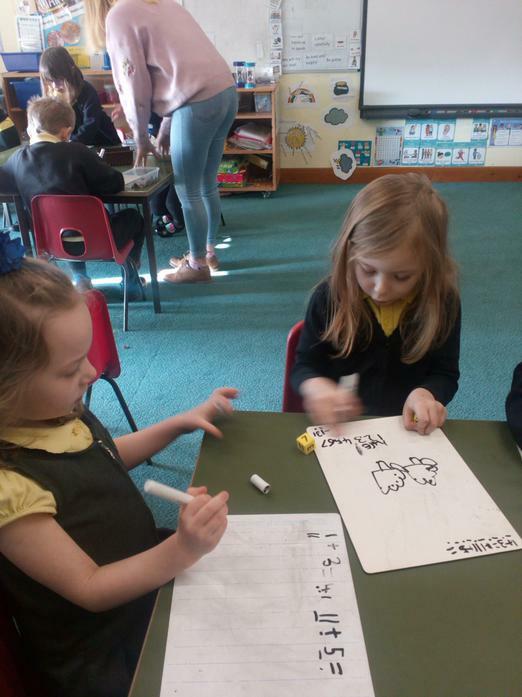 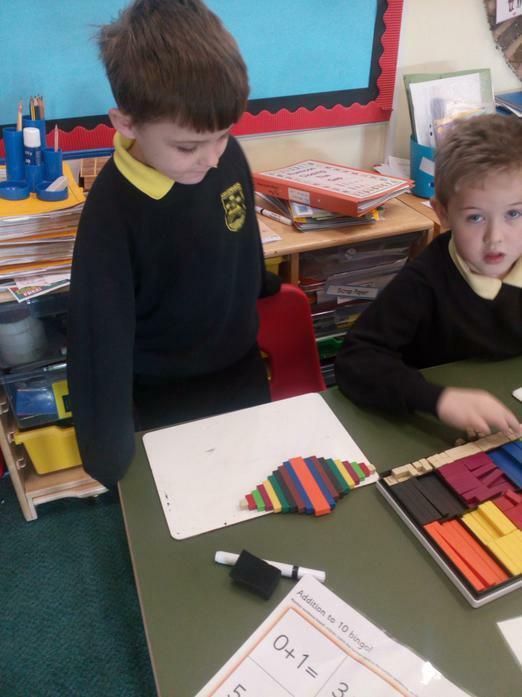 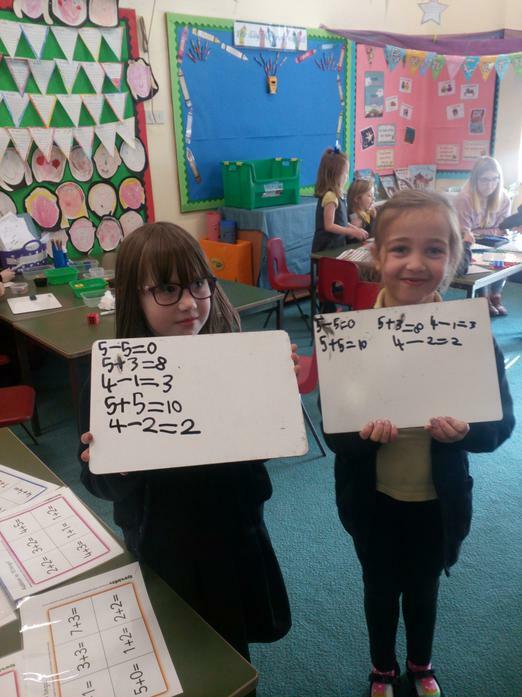 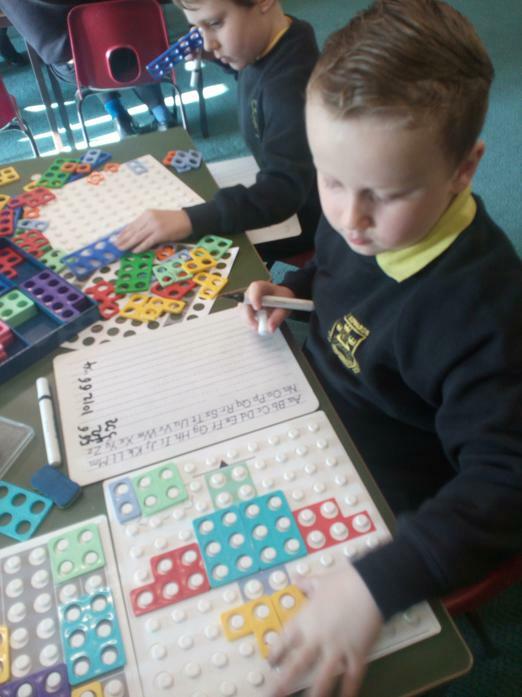 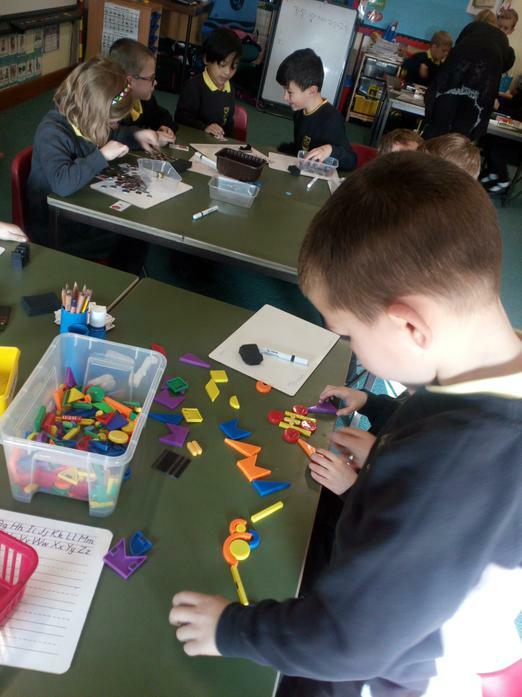 During Maths week we have been thinking carefully about how to solve a variety of maths problems using our maths knowledge and skills. 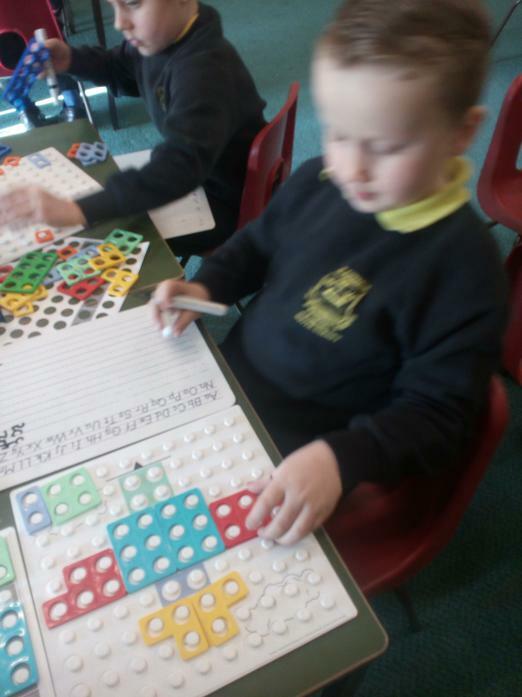 On Monday we participated in a puzzle solving workshop, which was great fun. 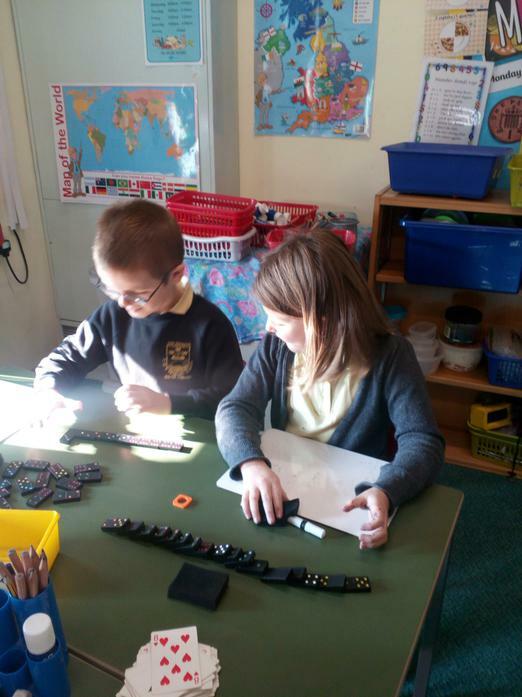 On Friday we set up a problem solving workshop in our class room and worked on a circuit of activities. 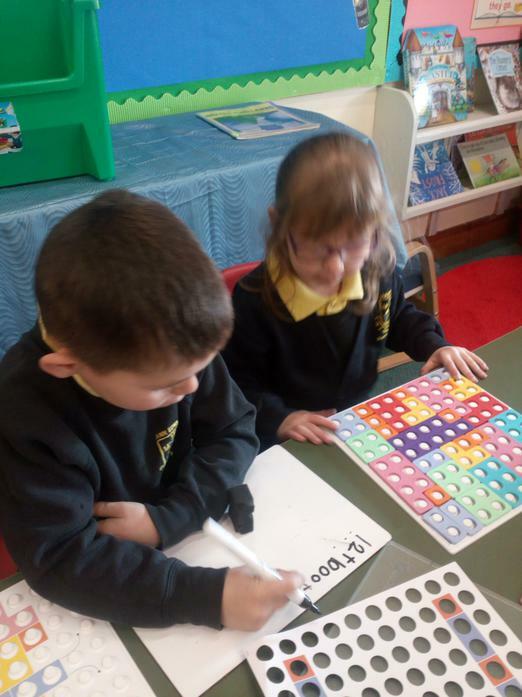 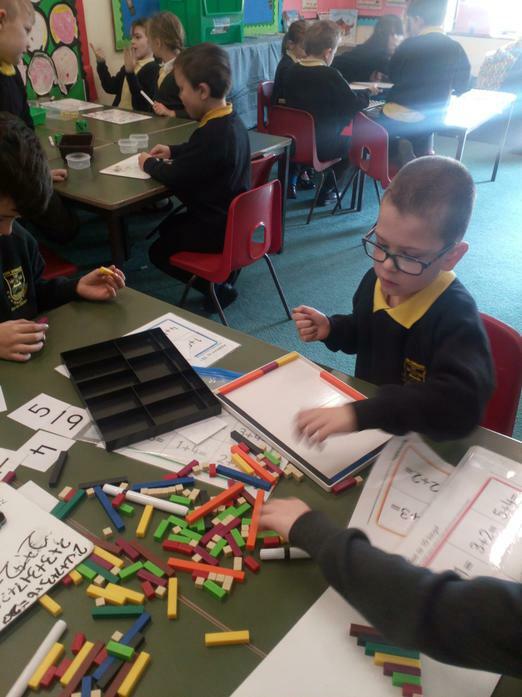 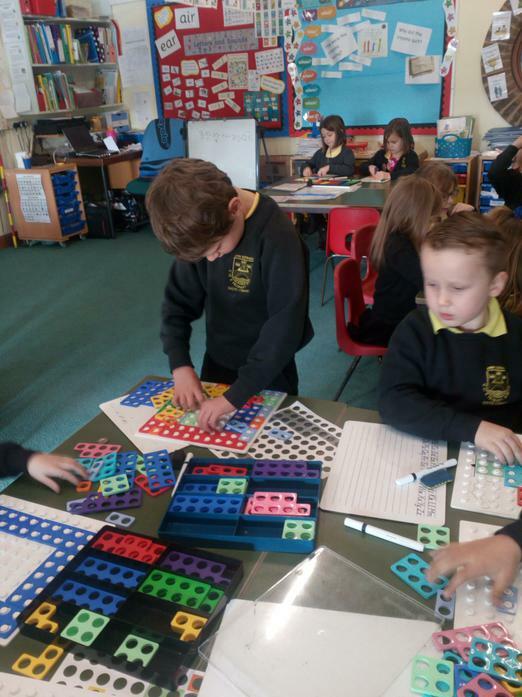 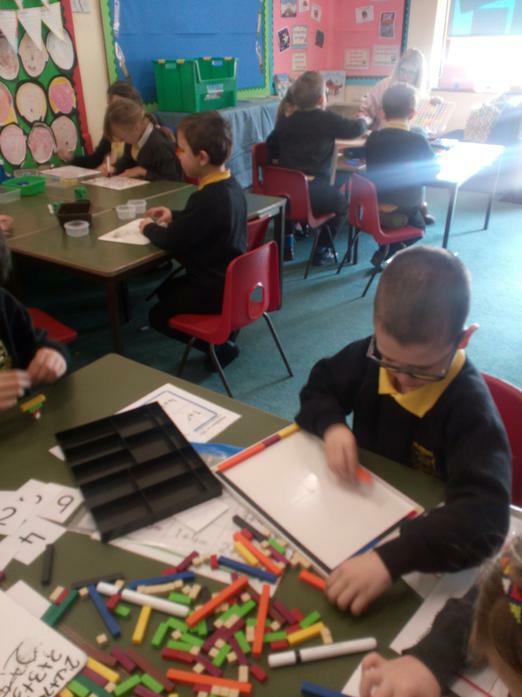 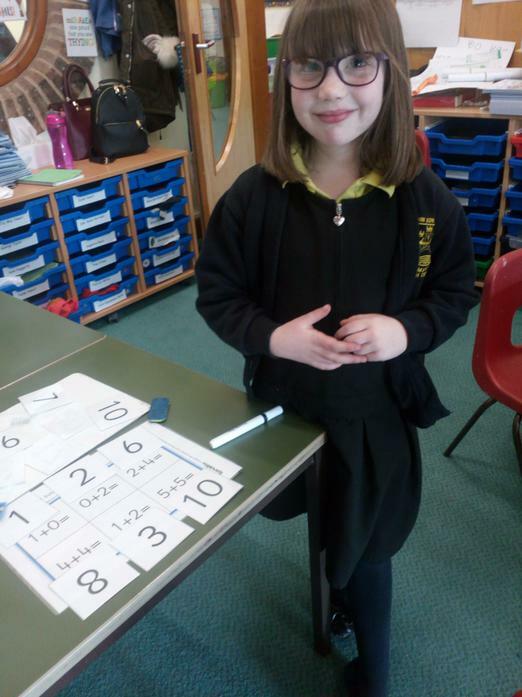 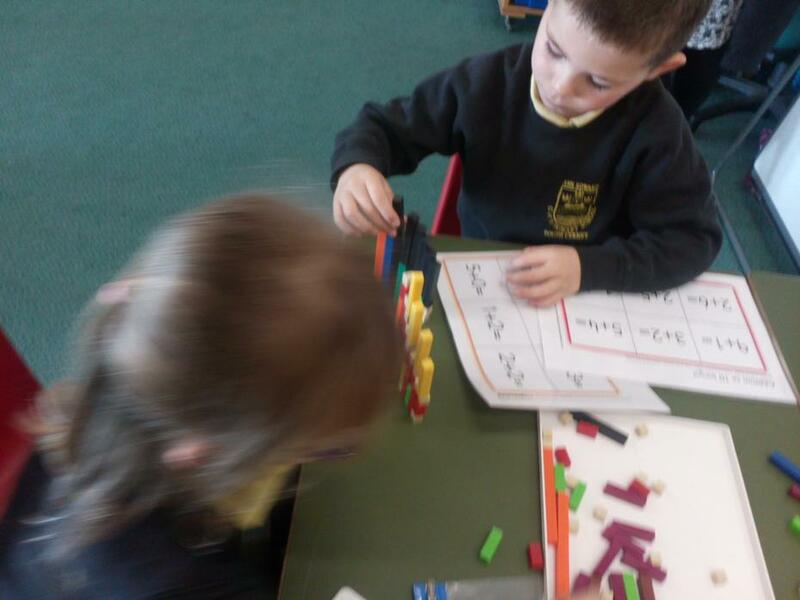 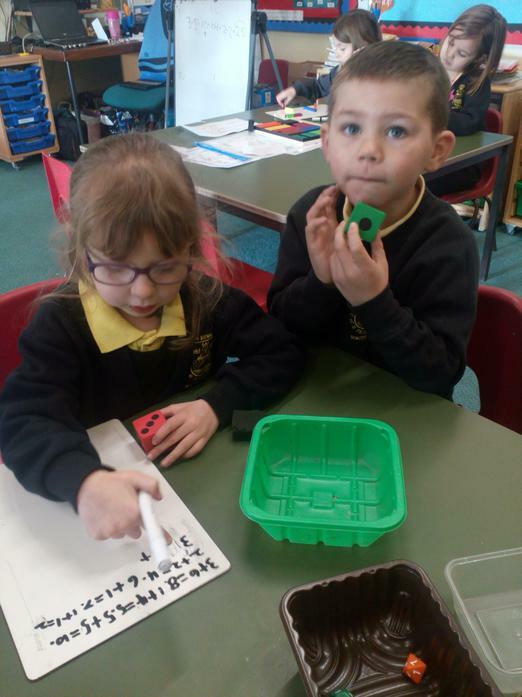 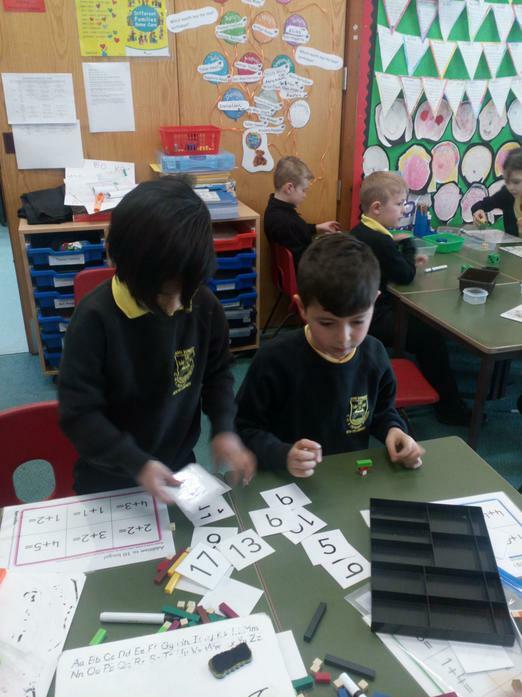 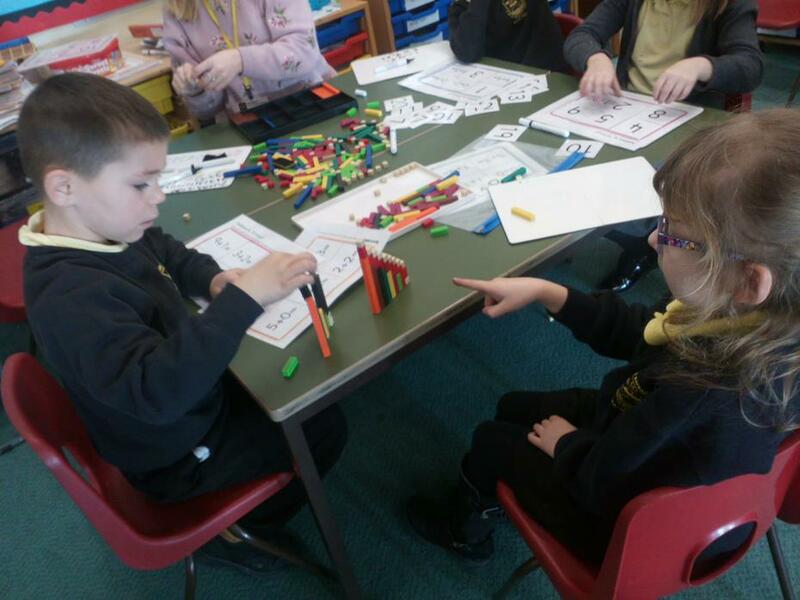 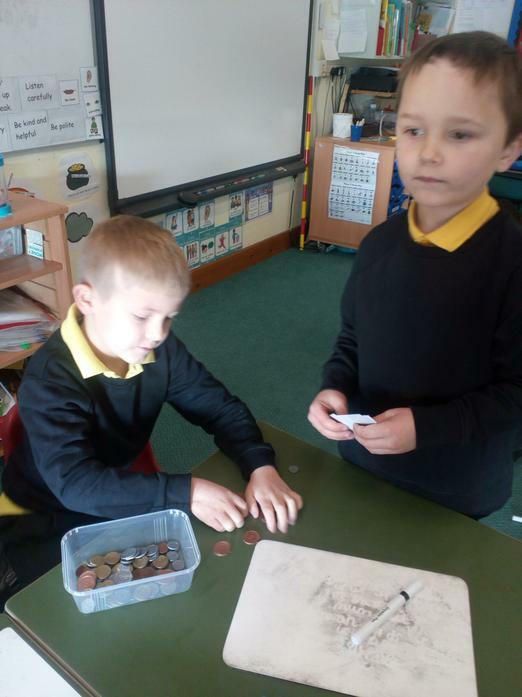 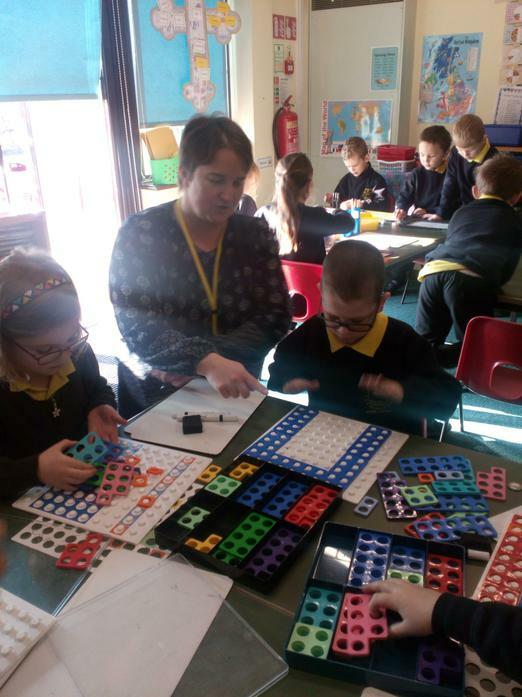 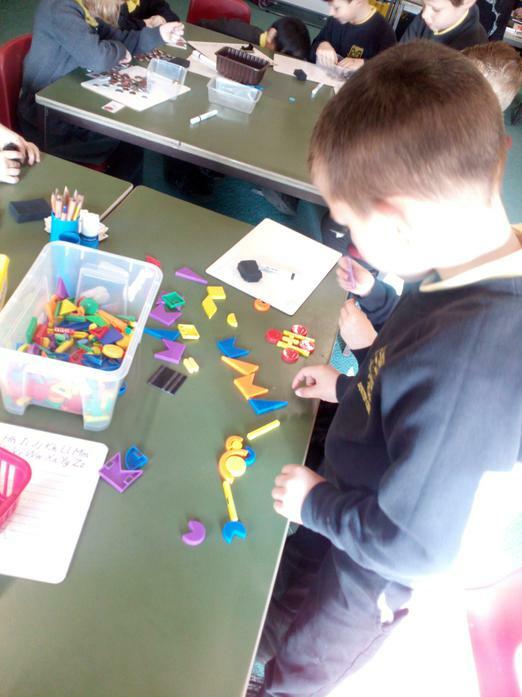 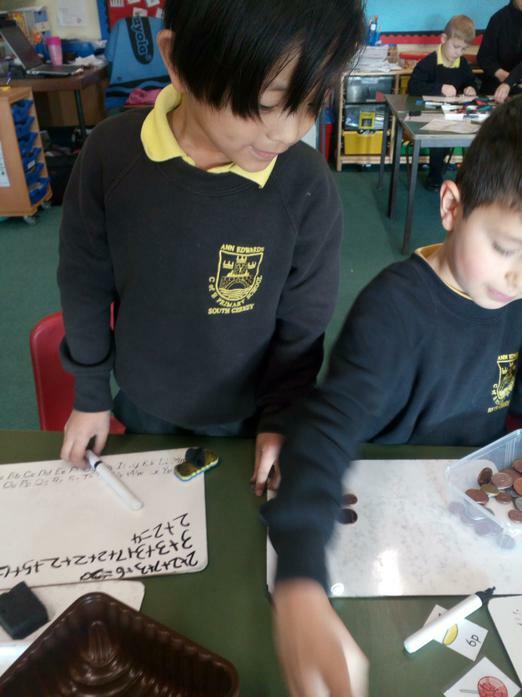 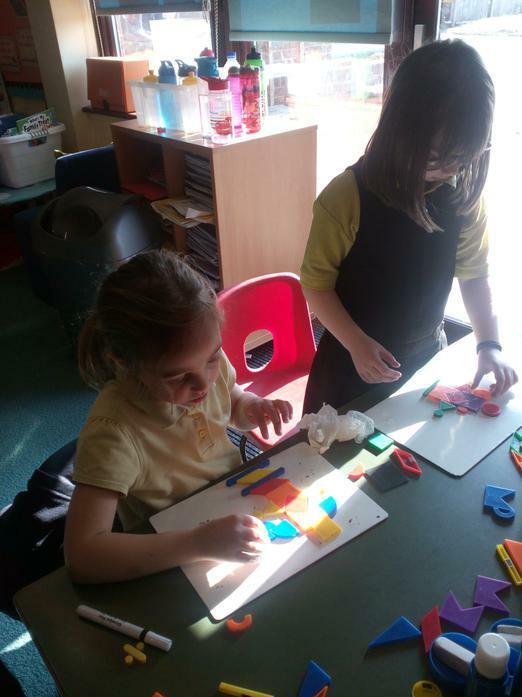 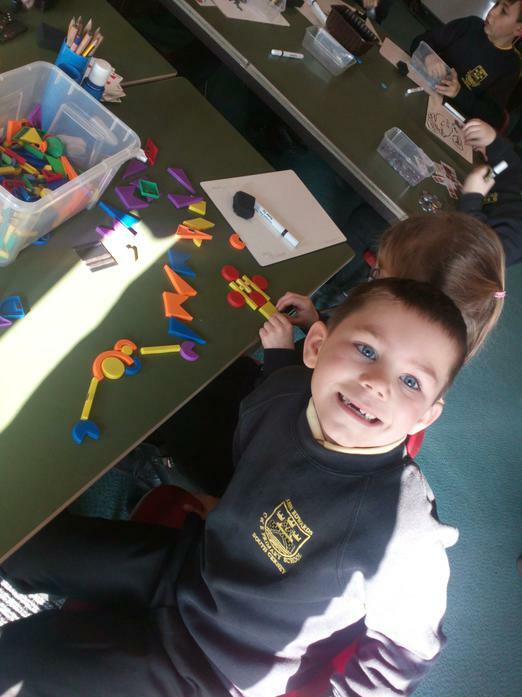 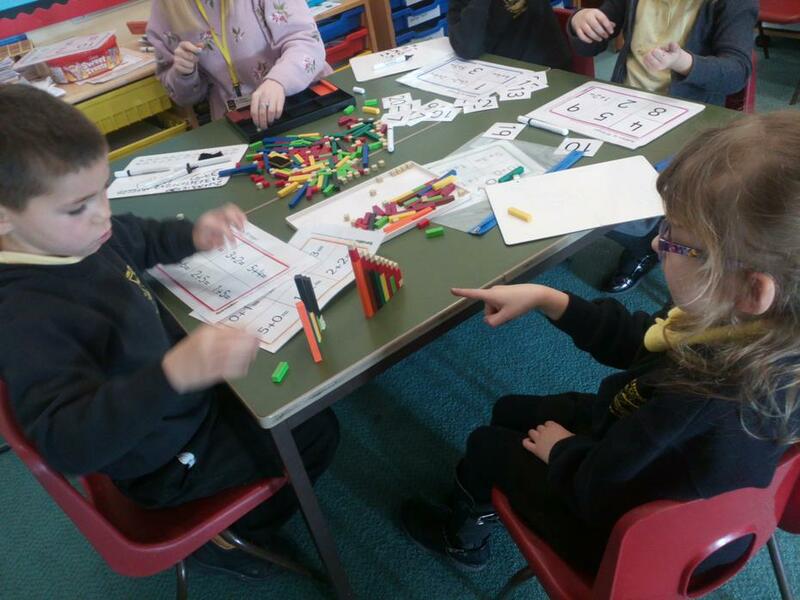 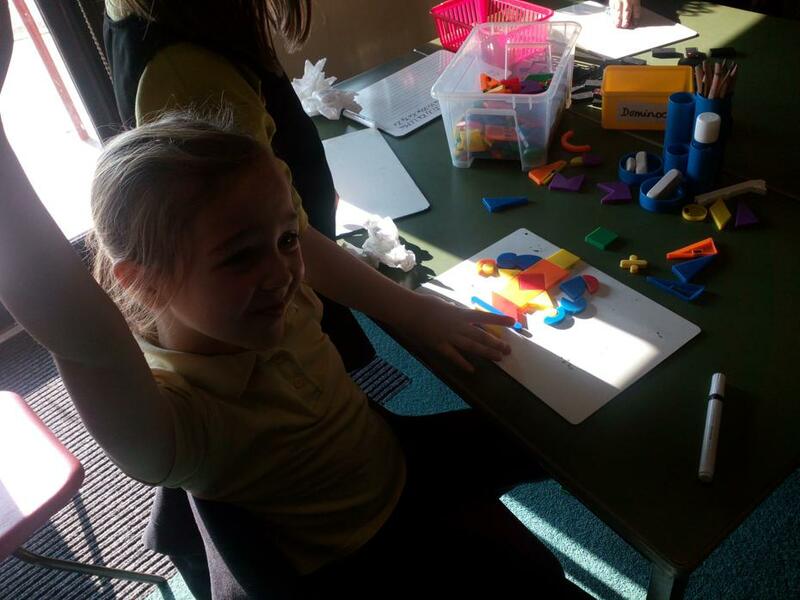 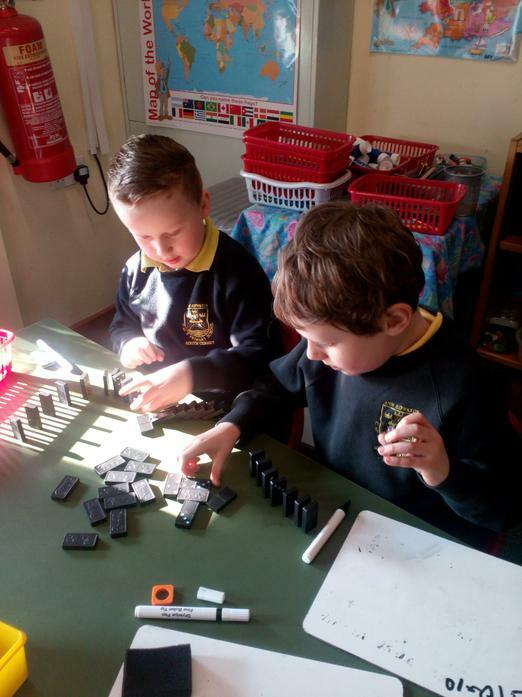 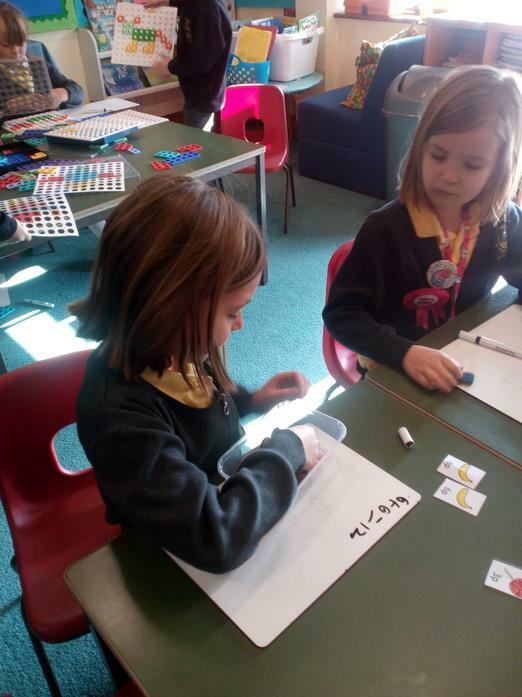 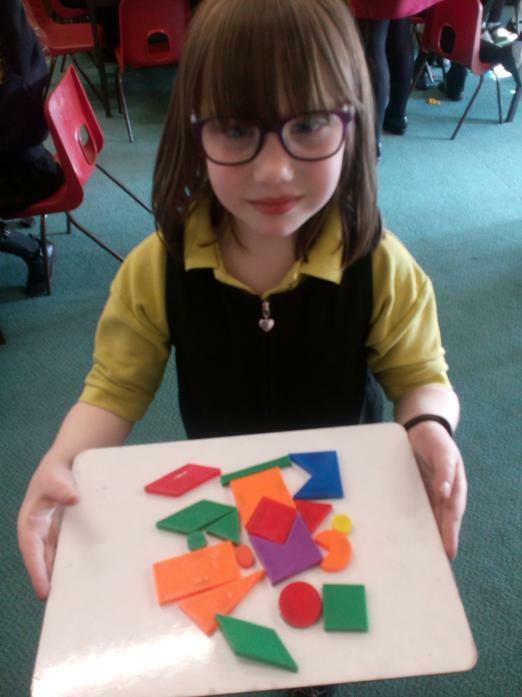 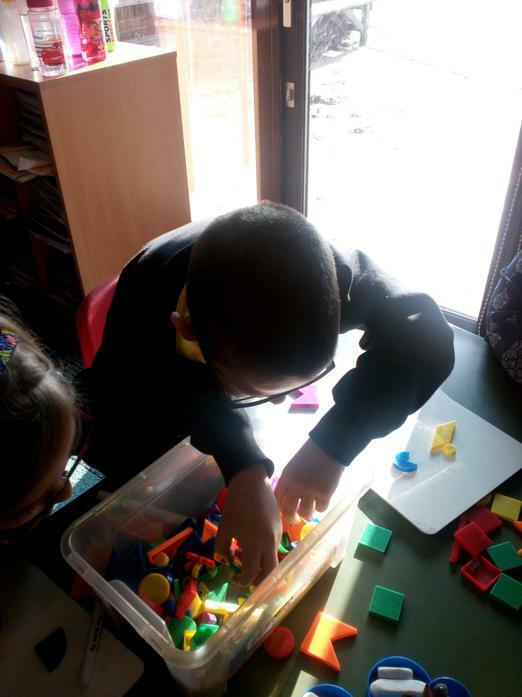 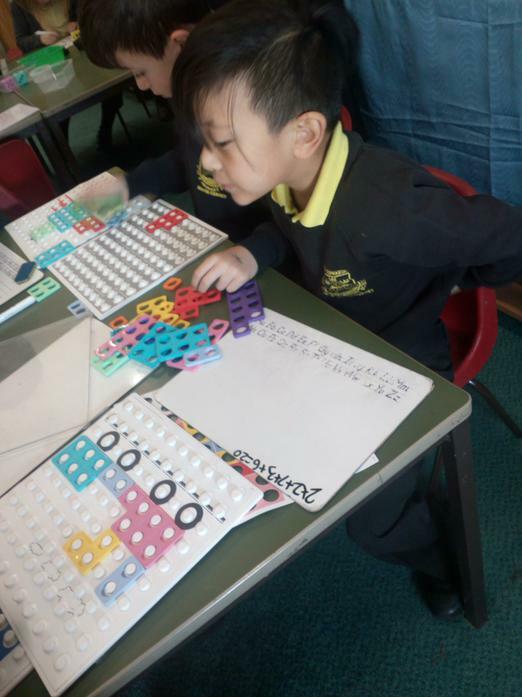 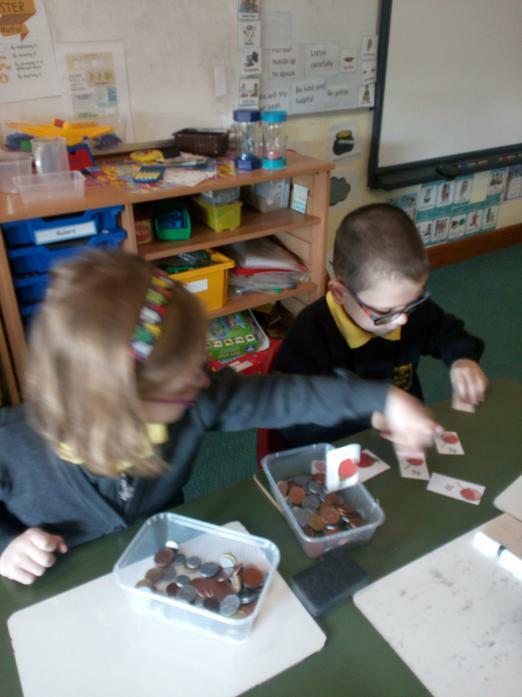 We had to make Numicon pictures and work out which was worth the most when all the pieces were added together, We had to use coins to play 'shops', taking it turns to pay and give change. 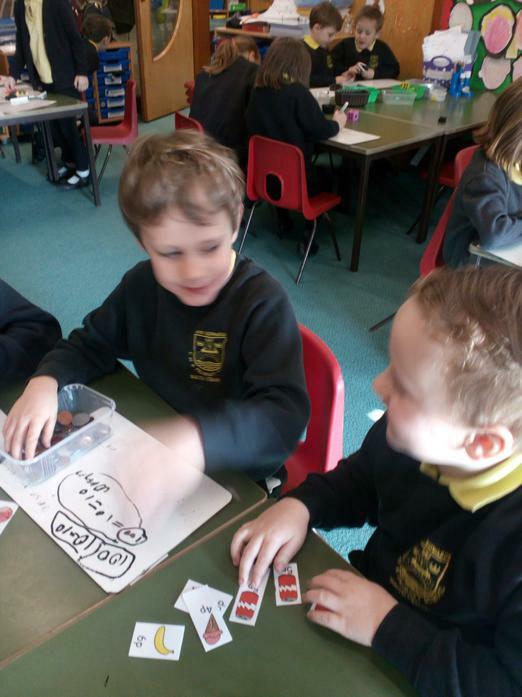 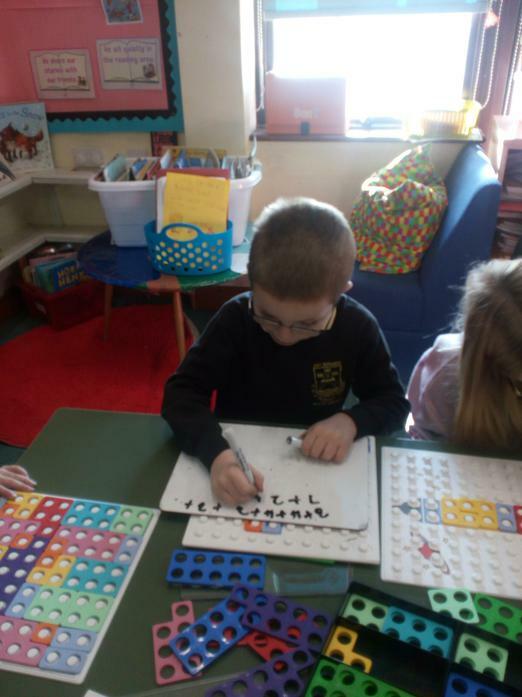 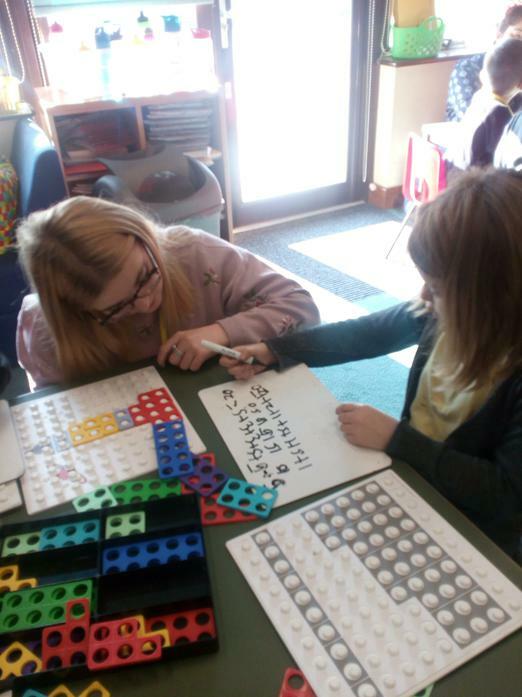 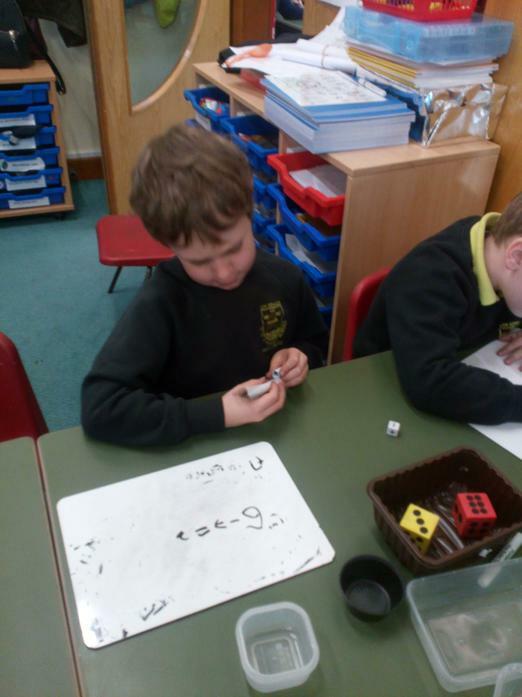 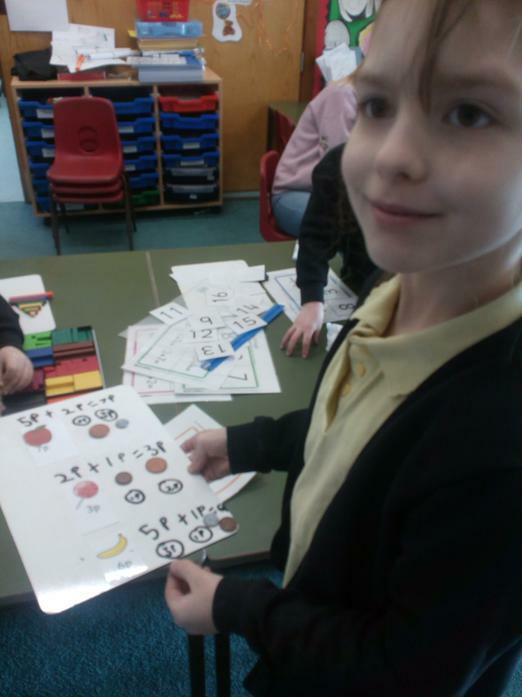 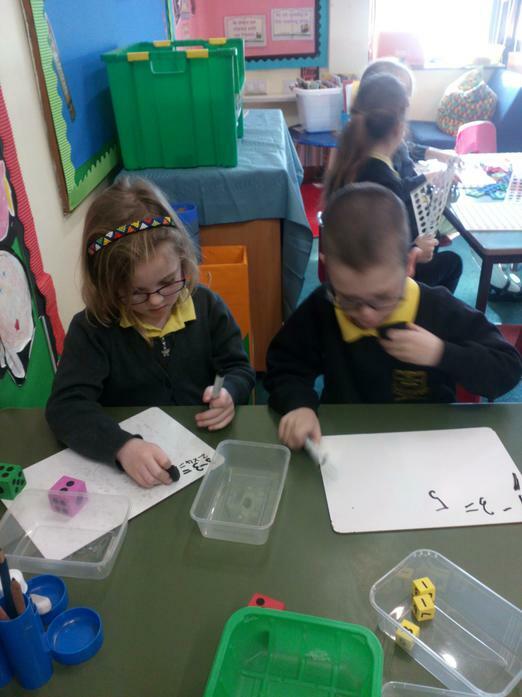 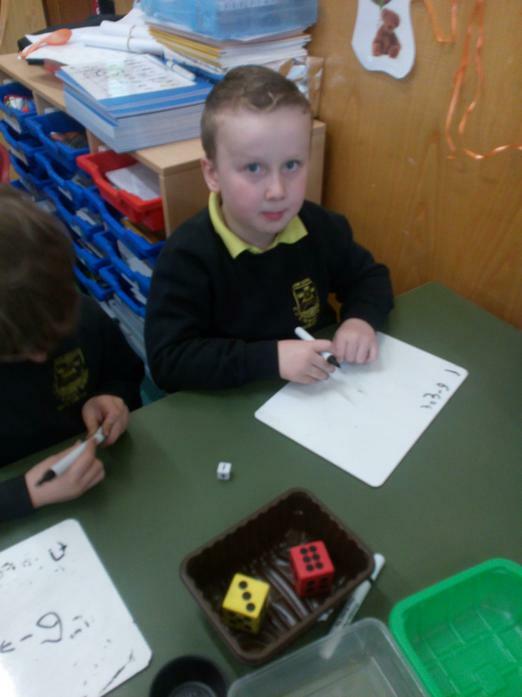 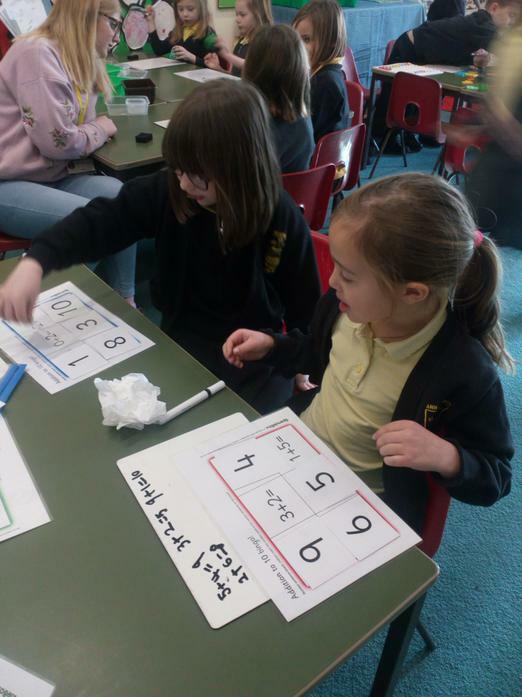 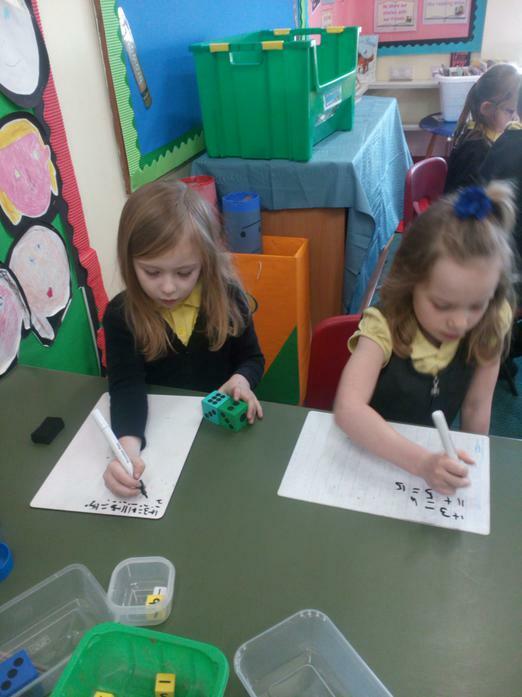 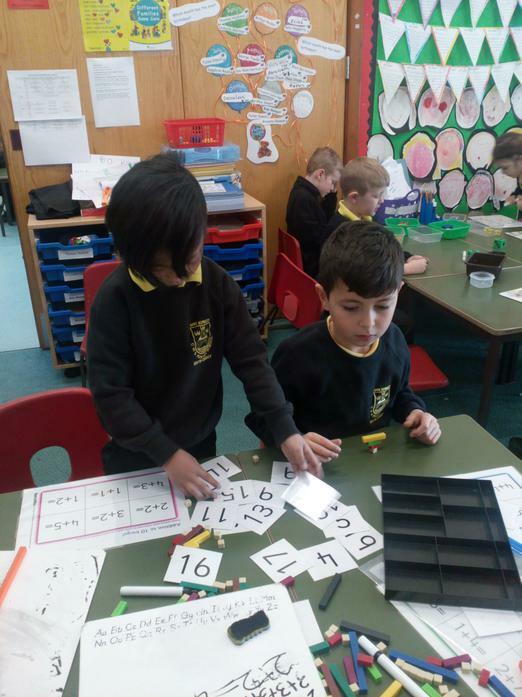 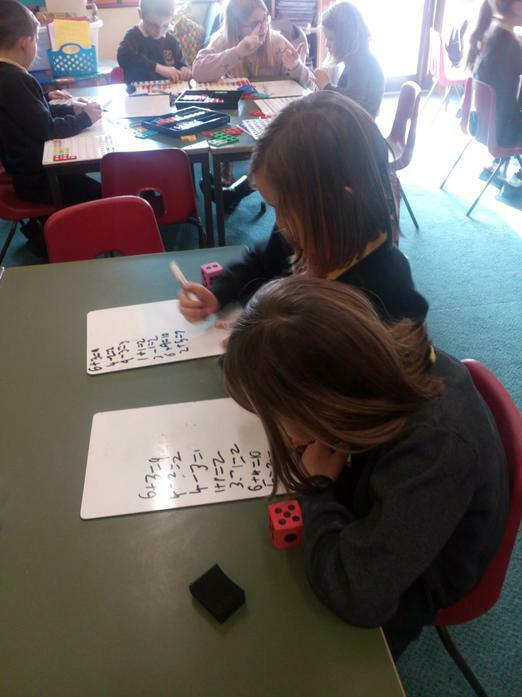 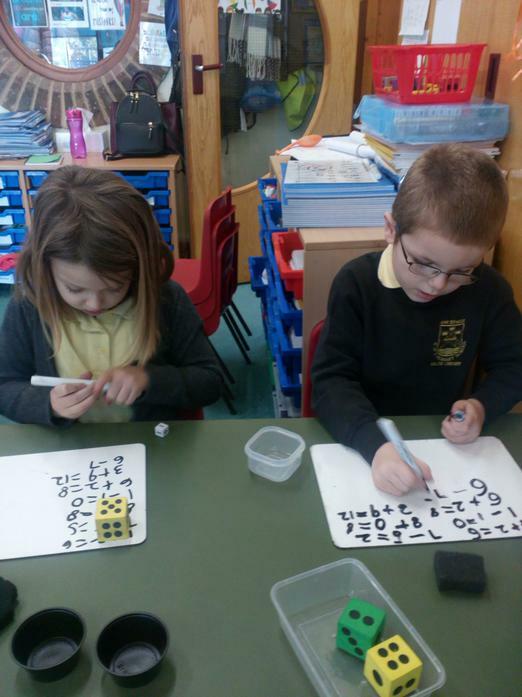 We played addition bingo and we played adding, subtracting and multiplying dice games. 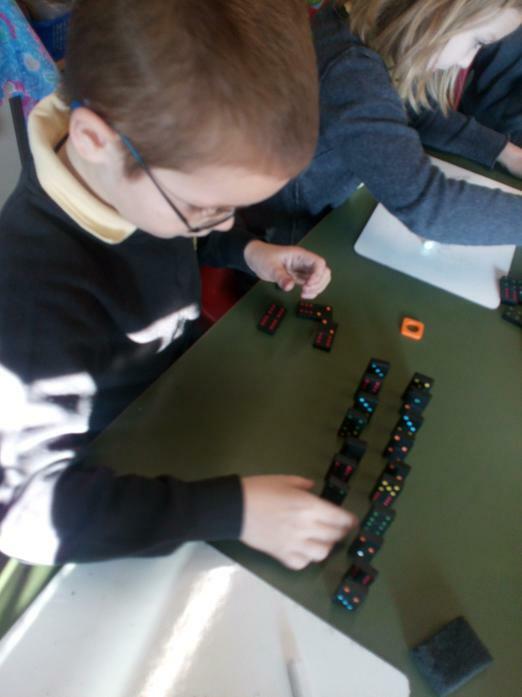 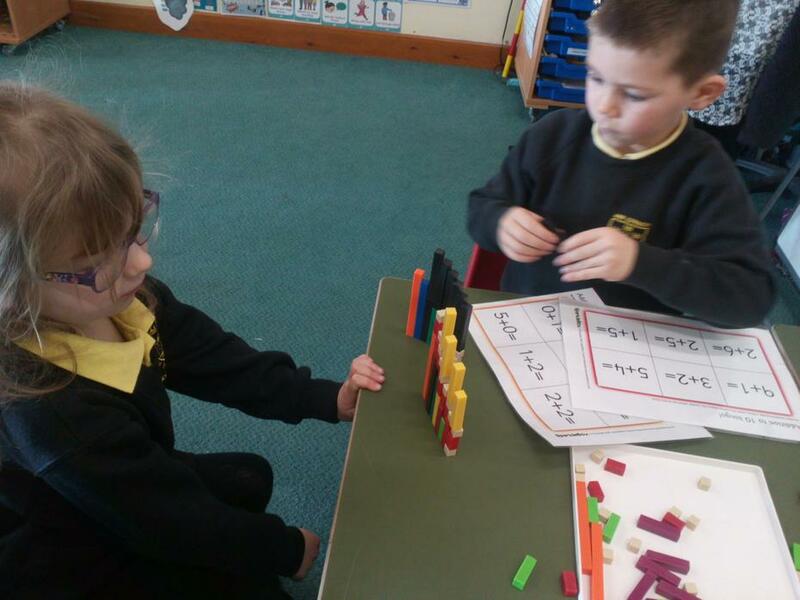 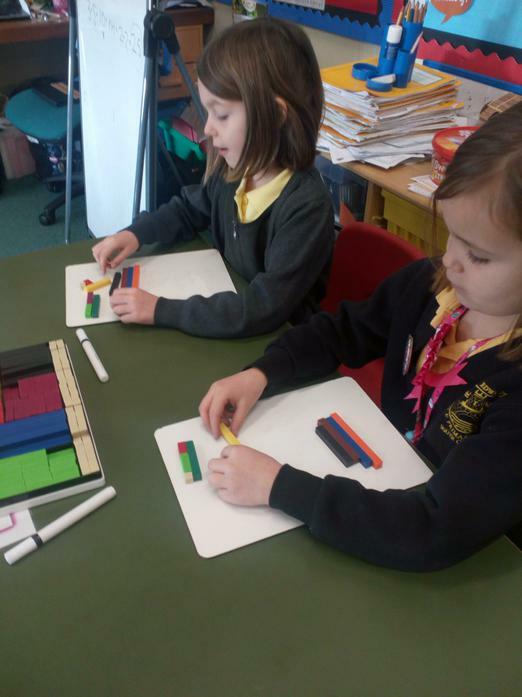 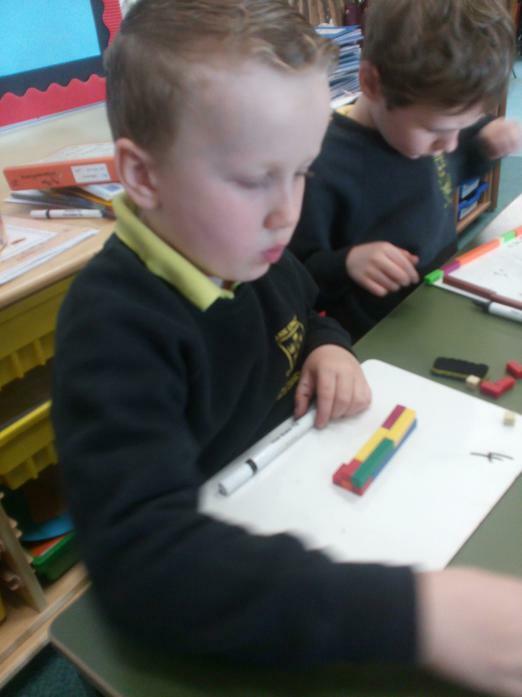 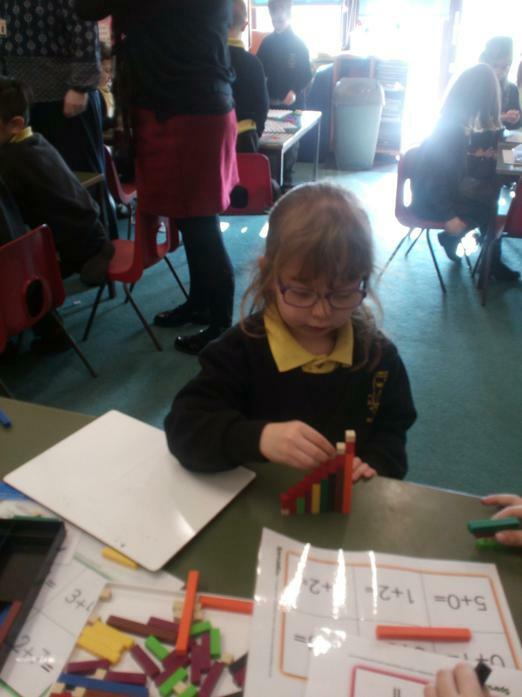 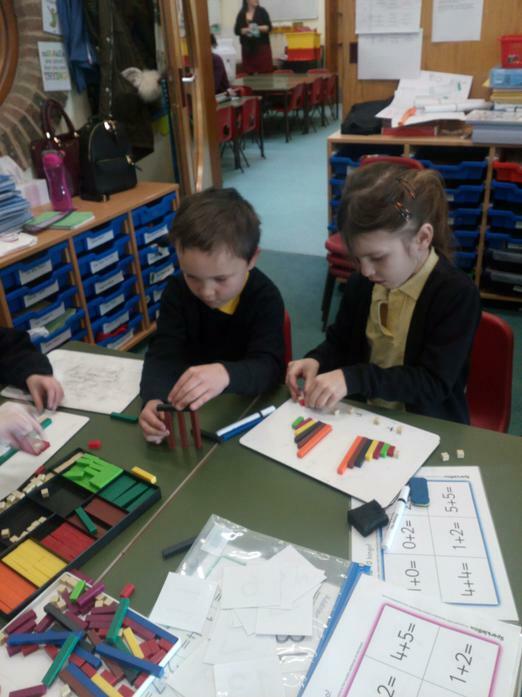 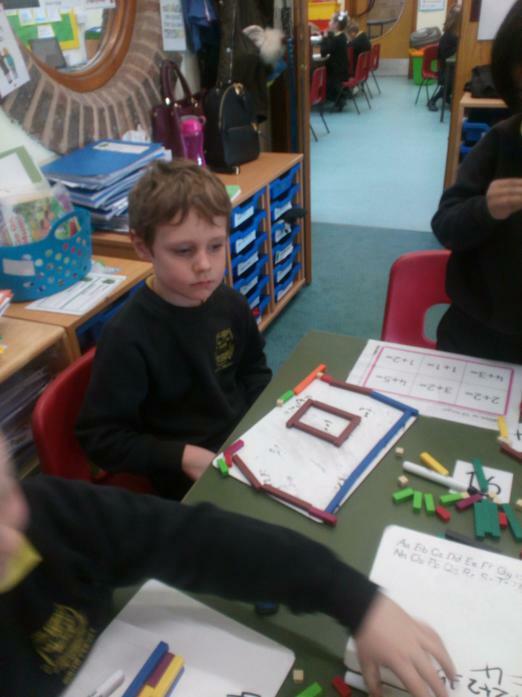 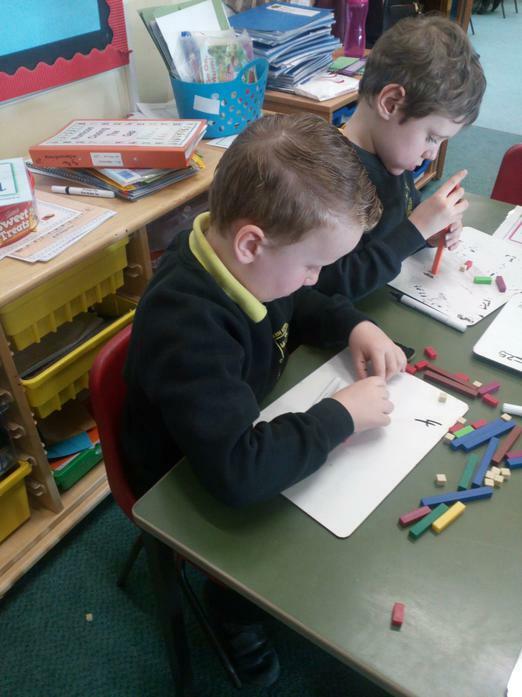 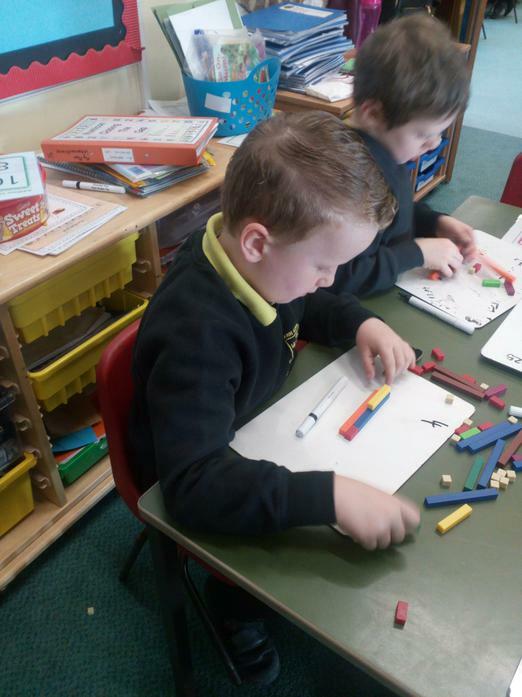 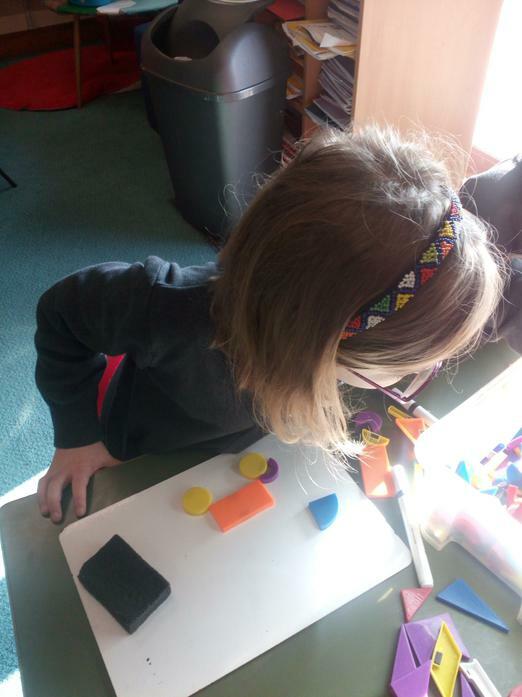 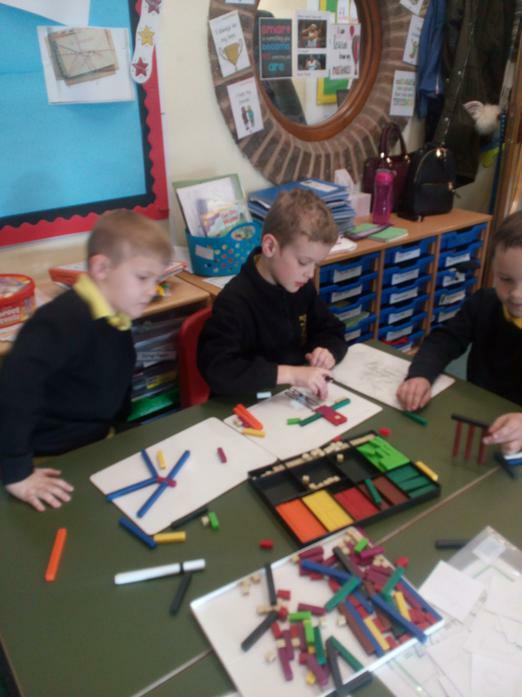 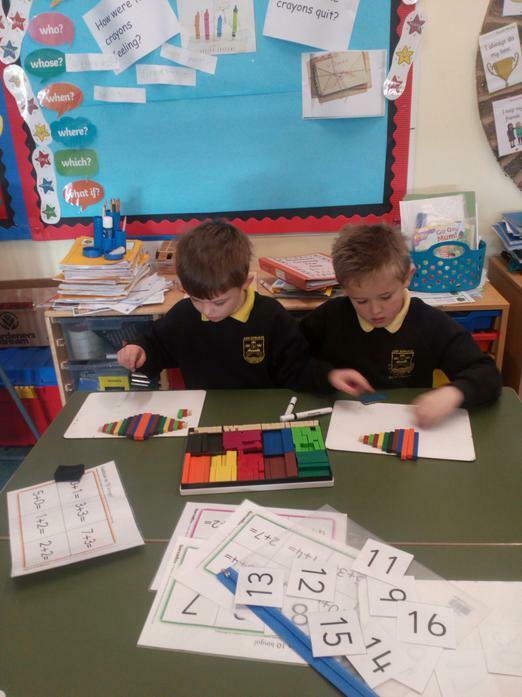 We also used Cuisenaire rods to order, solve addtion problems and also make symmetrical patterns! 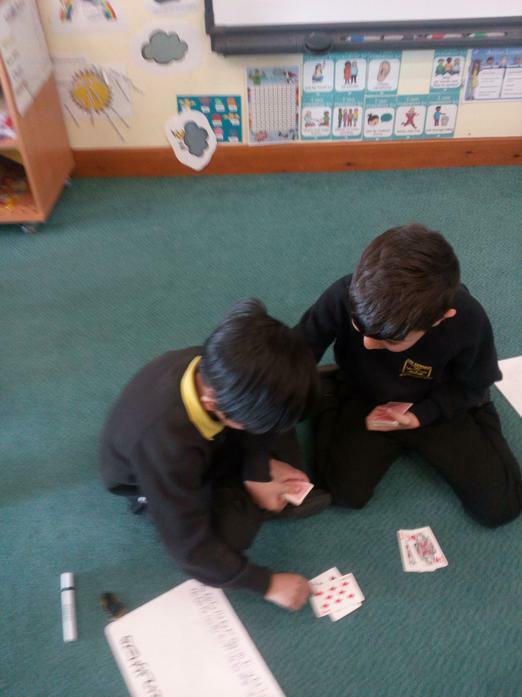 We even enjoyed playing cards!